In its 15th year, the Tribeca Film Festival is still going strong, stuffed with 101 films, including 42 directorial debuts. Here are six, from film-school graduates to journalists to fine-art photographers, to watch out for as they make their feature-length debuts over the next two weeks. Tipping has had a much-lauded path on his way to his first feature-film debut. After getting his MFA from the American Film Institute, he won a DGA Student award and picked up festival and critical acclaim for his AFI thesis short,"Nani," which also landed a Student Academy Award. 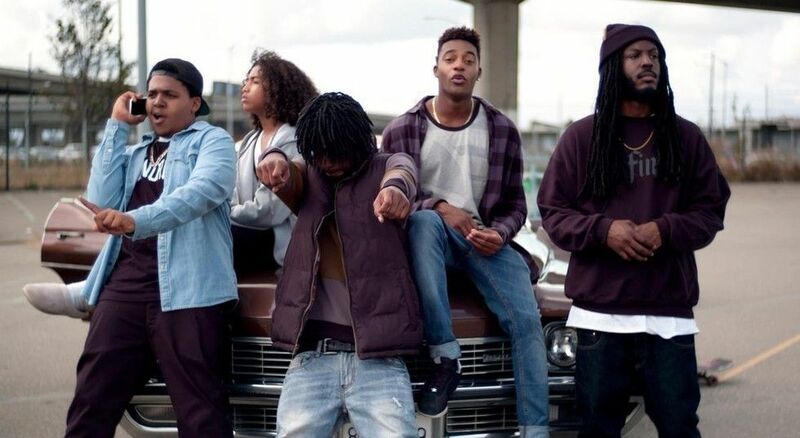 Now his first feature-length, about an Oakland teenager's search for his pair of stolen sneakers, has been landing on everyone's Must Watch lists, including ours. Gage is best known for her work as a photographer, often collaborating with partner Tom Betterton, shooting fashion and editorial for places like Vanity Fair, W, Marie Clare and more. Her personal work takes a feminist bent, focusing often on young women, so it's not surprising that for her feature-length debut she's following a pair of teen sisters over three years as they grow up and into themselves. Since she's finished her MFA at Columbia, Shoval has racked up an impressive list of grants and awards, including the Women in Film grant from Sundance in 2011 for "AWOL," then just a short. 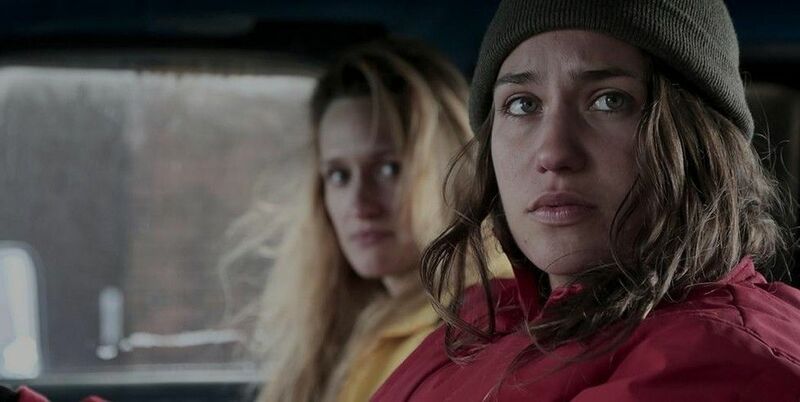 Now the story of two rural Pennsylvanian women who fall in love and embark on a secretive relationship gets the feature-length treatment, starring Lola Kirke and unREAL's Breeda Wool. Salima Koroma made her bones as a journalist before stepping into the film world, working as a video producer for Time magazine and Current TV, and writing about music for Hip-Hop DX. 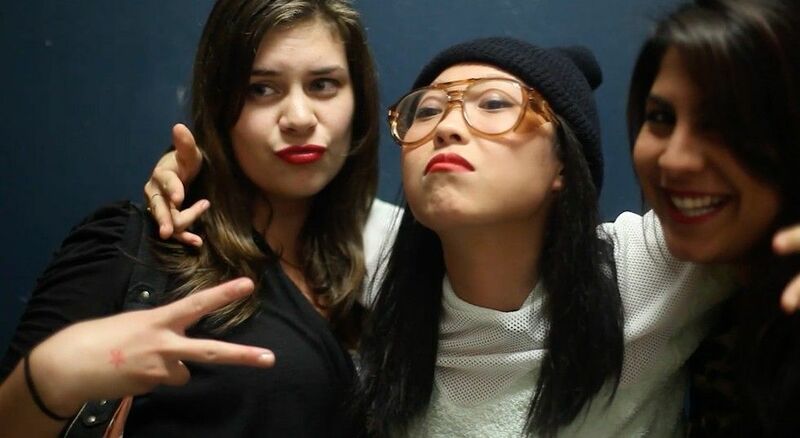 Crowdfunded on IndieGoGo, Bad Rap explores the world of Asian American rappers by following four, including PAPER fave Awkwafina, as they struggle to break out beyond stereotypes and find success. You've probably come across Demetri Martin before, whether you saw his idiosyncratic stand-up routines, often featuring a drawing pad and musical instruments, or watched him in In a World… or Contagion, or enjoyed his jokes for Late Night with Conan O'Brien. But this marks the comedian's first turn behind the camera, directing, writing, and starring in Dean. Martin aims to bring quirky point of view to a story that mashes-up of life crises and our era's now traditional man-child growing up tale. Exploring the lives of Park Slope's lesbians (through a comedic lens), Jungermann's successful web series, "The Slope" and "F to 7th," earned her WGA nominations and places on plenty of "Directors to Watch" lists. Her debut film follows similar themes, telling the story of two podcasters who get mixed-up with a potential murderer. Imagine Serial recast as a dark comedy, mixing the fear, paranoia, and sharp humor that can spring up in both relationships and murder mysteries.